If you've been injured in a car or motorcycle accident, dog bite, slip & fall or other incident in Lake Elsinore you may be eligible for property, medical and compensatory damages. 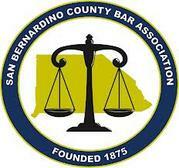 As an Inland Empire injury lawyer, our firm represents injury victims in every city and serve every court throughout the San Bernardino and Riverside Counties. The insurance companies have an army of lawyers and claims assessors at the ready to fight your claim, we will be your army ready to go to battle. When you work with us, you will work directly with an attorney and not be passed around from paralegal to administrative staff. We go to great lengths to make sure you are aware of every step of the process and prepare you for what's next in your case. When you're in an accident your entire world can get turned upside down. We understand that you're under an enormous amount of pressure and sometimes you may be limited by your injuries to take care of matters of the home. Looking for an accident attorney in the Lake Elsinore area can be a daunting process because many attorneys say the same cliche things: "We'll fight for you" or "Free Consultation"... The truth is you must interview your attorney to take on your accident case because they'll be working with you for at least the next several months of negotiation and depositions. Choose your attorney wisely! All compensation for our service is on a contingency basis, meaning that if we do not win your case we don’t get paid a dime. This means that all of the costs that normally occur with a personal injury case is our responsibility until we have delivered the best possible outcome. Because of this, our interests are aligned and we fight to get the best result for your unique circumstance. You don't need to call an attorney in Los Angeles to get the best legal representation, If you are local to Lake Elsinore or need a Wildomar personal injury lawyer just contact us today and schedule a free initial consultation. If you believe your matter is extremely time sensitive, please inform reception to rush a response from an attorney. We can meet you at your home or hospital if you cannot come to our office. 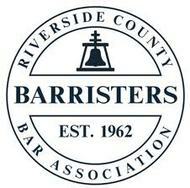 Handling all personal injury cases throughout the Inland Empire including the cities of: San Bernardino, Riverside, Fontana, Highland, Ontario, Upland, Claremont, La Verne, Pomona, Rancho Cucamonga, Montclair, Chino, Chino Hills, Colton, Rialto, Grand Terrace, Redlands, Yucaipa, Loma Linda, Mentone, Calimesa, Banning, Beaumont, Victorville, Hesperia, Corona, Norco, Mira Loma, Pedley, Jurupa Valley, Woodcrest, Temecula, Murrieta, Wildomar, Hemet, Menifee, Eastvale, Lake Elsinore, Moreno Valley, and Perris. Attorneys represented on this website have no professional affiliation with each other, this website is shared marketing for the attorneys represented. You should not interpret any information on this website as legal advice, nor is an attorney-client relationship established. This website is NOT an attorney referral service.